→1 file: 25 pages. 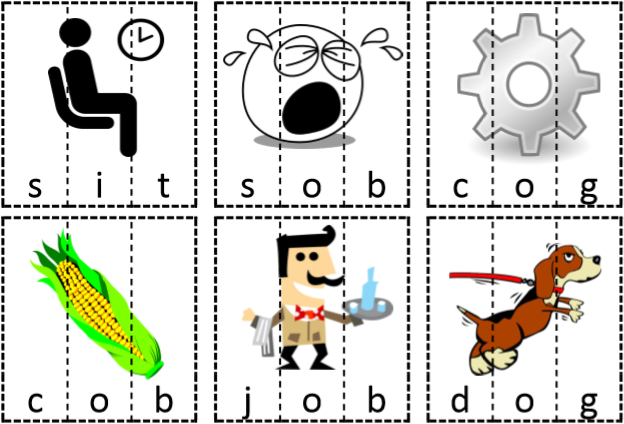 In these word puzzles, the child arranges the letters to form CVC words. 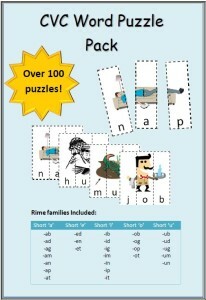 The picture at the top of each puzzle allows the child to check their answers. 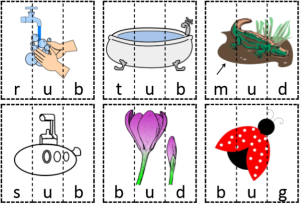 This is a fantastic resource for helping children identify the initial, medial and final sounds in the words. 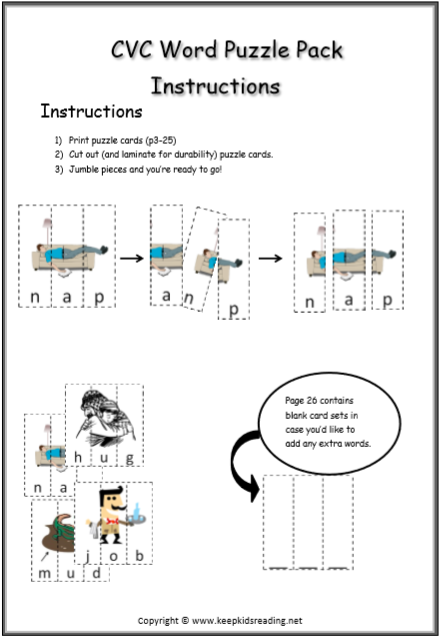 This pack contains over 100 puzzle cards and comes with an instructions page. 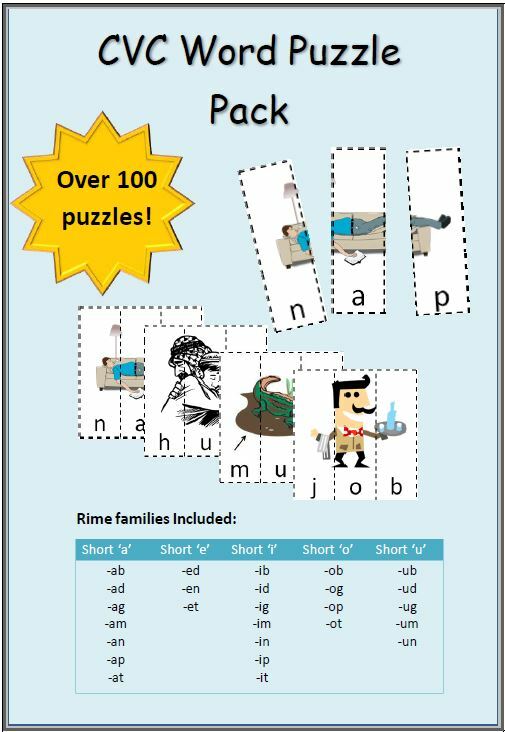 Return to CVC Game and Resources.